GENEVA – Fred Pollutro’s parents started an insurance firm back in 1951. 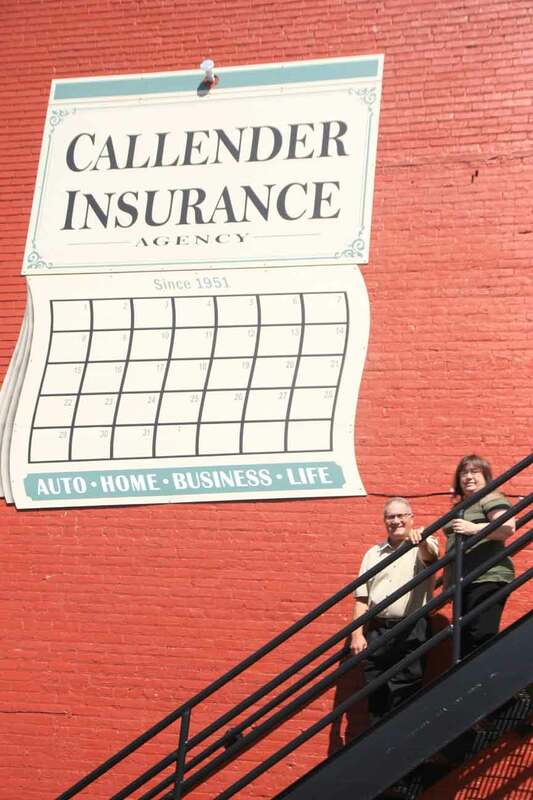 Through plenty of changes, Pollutro has continued the agency, expanding it into Geneva last year by purchasing Callender Insurance, 44 W. Main St.
Pollutro added it to Pollutro-Rossley Insurance, which has an office at 1616 N. State St, Painesville. Pollutro started with the insurance agency in 1976 and is going into his 43rd year. Why add another agency at this point? “It invigorates me. I’m meeting new people. It helps me grow as an individual and grow my company,” he said. When Pollutro took over the Painesville firm, he went in with his brother-in-law, Robert Rossley, who retired a few years ago. “When I bought Callender I retained the name. I like it. I like running two agencies, bringing Pollutro-Rossey over to Callender. As an independent agent, both his companies can give customers a wide range of options to fit needs and at the right price. He handles Motorist Mutual, Progressive, Travelers, Auto Owners, Safeco, Nationwide, Encompass, Commercial Hartford and Westbend. “We are bringing our experts to Callender,” he said. Pollutro handles insurance for governmental agenices, like Perry Township, Perry Joint Economic Development Districts, Lost Nations Airport and Lake County Fair. He said he wants to provide the same type of coverage in Ashtabula County. Lori Steimle has been retained as office manager and Nicholas Augustine and Genevan Elisas Nunez Jr. are agents. “Each has over 10 years in business,” he said. The firm primarily handles auto, home and life insurance. If there is a place people come up short it is liability in their auto insurance. He finds people carry the same amount as they did in the 1980s, but hospital costs have gone up greatly since then and cost is minimal for more coverage. Factors used to determine cost of insurance have greatly increased. “In the old days I could call you and give you a ballpark number that was pretty close,” he said. Today there are scores for age, marital status, driving record, even credit score. People can opt to have so-call black boxes in their car, which record information similar to what happens on an airplane. You may save money if you don’t have a heavy foot, you don’t drive too fast, if you avoid slamming on the brakes or drive too many miles. Parents like the black box to monitor teen drivers. The Geneva office is open weekdays from 9 a.m. to 5 p.m. The Painesville office is open 8:30 a.m. to 5 p.m. except Wednesdays, when it closes at 3:30 p.m. It is also open Saturdays from 9 a.m. to noon. Fred Pollutro operates Callender Insurance in Geneva, along with Pollutro-Rossley in Painesville. With him is Geneva office manager Lori Steimle.